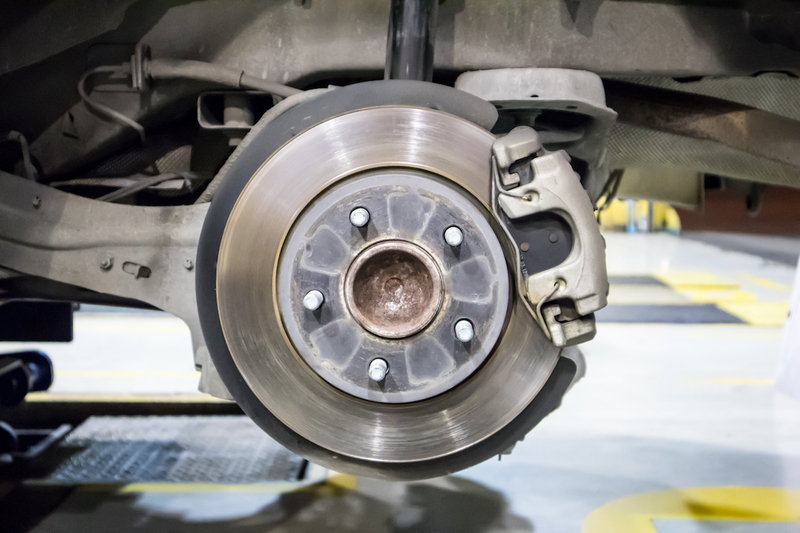 When you push on the pedal for the brakes in your car, calipers clamp the brake pads onto the rotors in order to reduce speed and then stop the vehicle. Brake pads are the key piece in the main component in stopping. Helping to reduce noise and vibration are the brake pad shims. But what are shims? Sims are made of metal or rubber and are found on the back of your brake pads. They are located in between the pads and calipers. In addition to reducing noise and vibration, shims that are manufactured from titanium assist in protecting calipers and fluids from damage that may be caused by excessive heat. When you press down on your brake pedal, the calipers cause the pads to clamp down on the rotors (which may also be referred to as brake disks). When pressure is applied to the rotors, it prevents the wheel from spinning. This means that your rotors play an important part in assisting the brake pads to provide optimal safety. High-performance vehicles use ceramic, rotors, which are lighter and more stable at high speeds and all temperatures. Due to the high price tag of ceramic rotors, they are typically only used in high-performance vehicles. Rotors need to be replaced around every 100,000 Km. However, this depends on the type of driver you tend to be. For someone who has a heavy foot on the brake, you will more likely need to replace your rotors sooner. This is the final piece to the puzzle. Brake fluid works when the brake pedal is pushed. Once the pedal is pushed the fluid forces brake parts to work together in order to slow the wheel. Brake fluid also adds lubricant to each part of the braking system. It is important to make sure that your Honda always has the proper level of brake fluid. Without this important element, it could cause your brakes to perform less than desired. If you haven’t had your Honda in for its regular maintenance appoint, perhaps it is time to book your winter tune-up. This will help to ensure that your Honda is prepared to perform during any winter storms you may encounter this year. In order to ensure that your Honda is one of the safest vehicles on the road, it requires regular maintenance appointments. Visit Henley Honda St.Catharines for your next service.